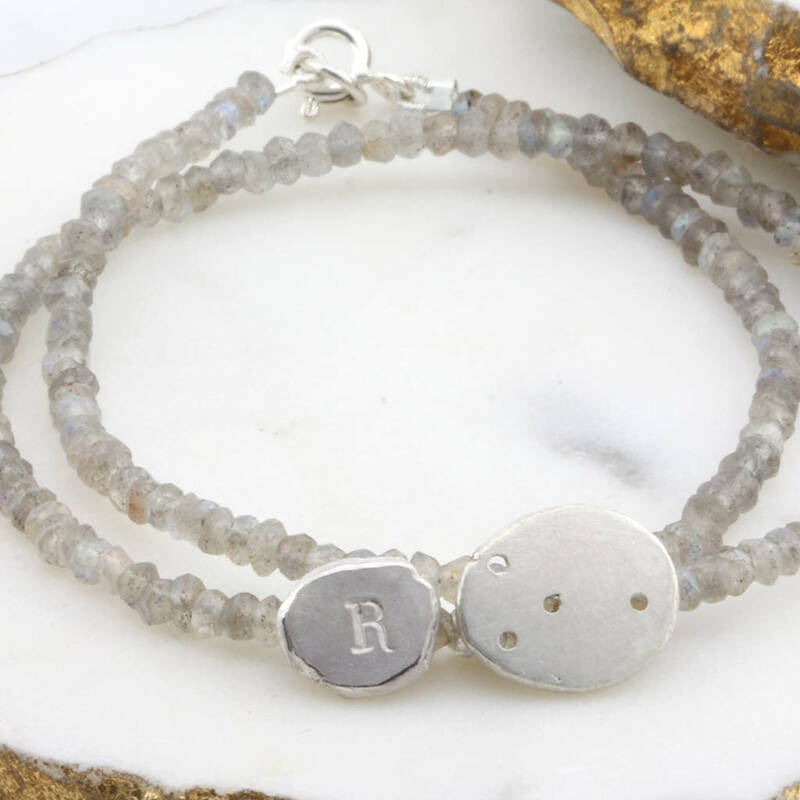 Beautiful personalised initial and constellation bracelet with two wraps of faceted labradorite gemstones. 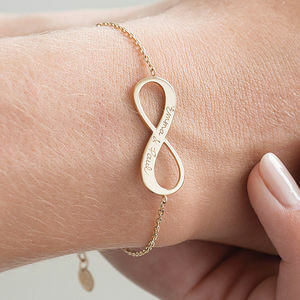 Eyecatching deisgn and discreet personalisation, a perfect gift for her. 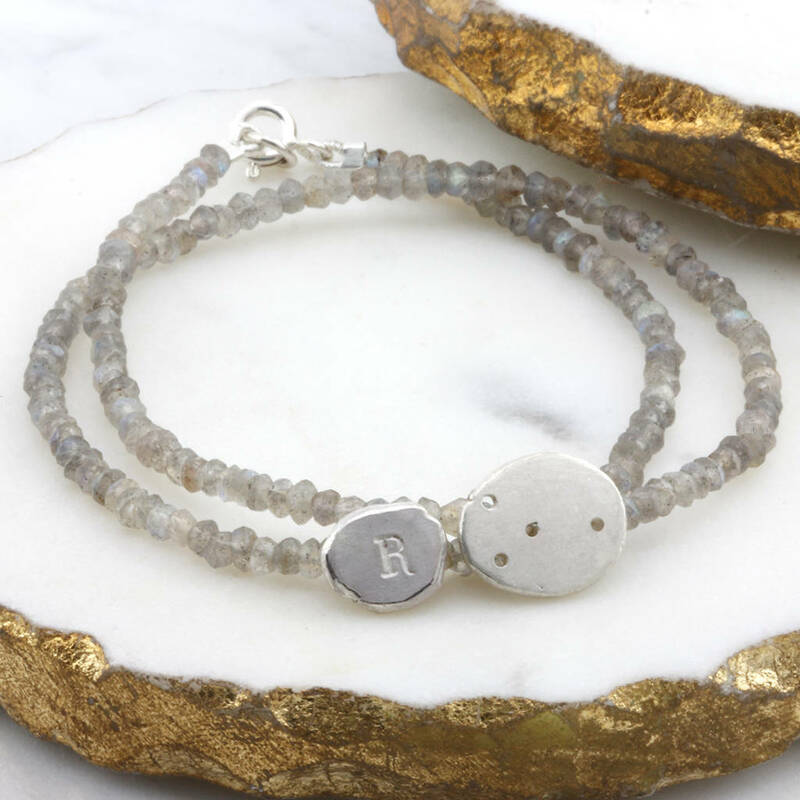 Sumptuous wraps of faceted labradorite gemstones around contemporary organically formed nuggets of silver each with your initial and chosen constellation. 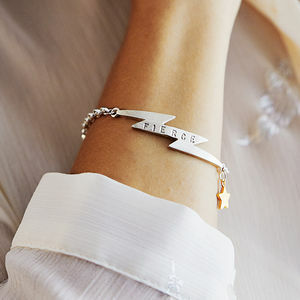 A perfect and unique gift for a loved one full of style and subtle in its personalisation. 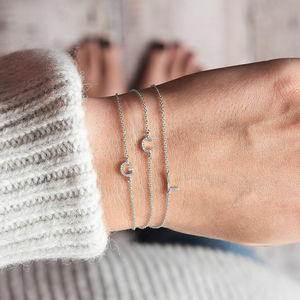 Each nugget is hand formed and therefore is a compelte one off. 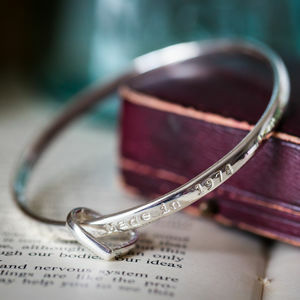 Initials are hand punched therefore may have some irregularities, these form part and parcel of the charm of this style of jewellery and do not constitute faults.